The Ballet Nursing Bra, featuring Petal-Soft™ fabric, combines the ultimate in softness with a totally adorable silhouette. Lounge, nurse, sleep, repeat. 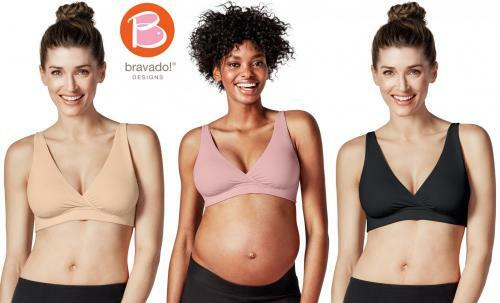 The perfect at-home nursing bra for (long) days and nights (that are often far too short)! Adorable striped lining and adjustable shoulder straps. Perfect for maternity, breastfeeding & beyond. Choose Bare, Black, Peony Pink or Antique White with Lace in S-XL.